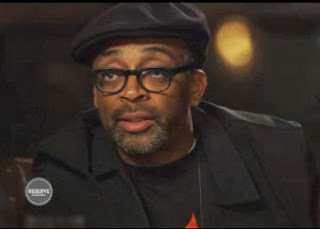 Spike Lee Tells an Amazing Story of How He Got Started to Pharrell on the "Artst Talk"
In the latest installment of the series, film director Spike Lee sat down with Pharrell to discuss his prolific films, career, upbringing, and host of other topics. Spike says he didn't choose film; film chose him. "And that's why I thank my parents, who always at a very early age — not that we were going to be filmmakers or whatever — they wanted to give us exposure to the arts. So, everything I'm doing today is because my mother was dragging me to museums; and that's when the Black family was in tact." Spike talks about his start in filmmaking in the summer of 1977, the influence of exposing children to art at an early age, and the love of his work and his hometown that has fueled the movies he calls "The Brooklyn Chronicles."